As the owner of a commercial property, it is your responsibility to ensure that the roof overhead the building is strong and durable. You must initiate regular repair and maintenance services to ensure the durability of the roof. Any minor faults can be repaired after inspection. 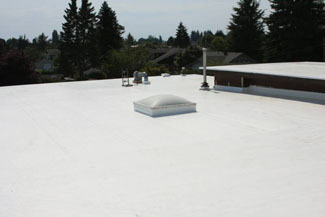 If you are looking to replace or get new roofing, however, you should consider a commercial single ply roofing system. As there are several types of commercial roofing systems, you are bound to get confused. In this scenario, it is best to take the help of our experts. 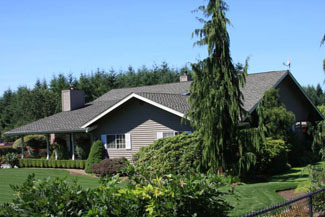 They will analyze your roof type and recommend the best from the various types of low slope roof treatments we offer. 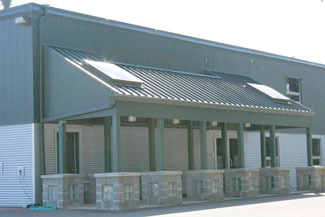 You can also ask for a commercial low slope roofing cost estimate from our consultants. With the availability of several single ply roofing types, the choice of the best one can be a challenge. You can take the help of our experts to know more about the commercial single ply roofing details. We recommend that you take the help of experts for installing the commercial single ply roofing systems. We have been installing commercial single ply roofing systems for Black Diamond residents for a long time now. You can take the cost details from our experts to know the expenses involved in your commercial low slope roofing replacement project. We are the ideal company for any requirements of single ply roofing systems in Black Diamond as we qualify on all these aspects. You can call Johnson Exteriors, Inc. at (360) 226-2521 for any services related to commercial low slope roofing in Black Diamond.